It’s unbelievable how many times you see the same names make these big final tables. On Day 10 of the partypoker POWERFEST, there were multiple players who made simultaneous deep runs. But we’ll get to them later. First up, let’s start with your biggest winner on Tuesday: ‘Drulitoo’. They won Event #62 Super High Roller Championship Event: $5,200 No Limit Hold’em — the biggest buy-in of the day — for a mouth-watering $203,900. That tournament attracted 194 runners, and with $1M guaranteed ‘Drulitooo’ took more than a fifth of that. Over in Event #64 High Roller: $1,050 No Limit Hold’em, Chris ‘therealmoorm’ Moorman was battling heads-up against ‘GewoonBoef’ for the title. He’d ultimately fall in second place for a $68,038.40 score, while the title and $95,569.50 went to his opponent. We’ve got to a give a mention to several players who seem to be making a final table every day. Yesterday, ‘KiLLerKoWaLsKi’ finished sisxth in Event #64 High: $215 No Limit Hold’em for $5,923.88, and also finished sixth in Event #66 High: $109 No Limit Hold’em Fast Six-Max Progressive Knock-out for $1,255.50 plus $1,101 in bounties. ‘skippyskip5’ is another player on a tear right now. Tuesday saw him or her finish fourth in Event #63 High Roller: $530 No Limit Hold’em Progressive Knock-out Mix-Max for $15,122.78 + $9,203, and place sixth in Event #64 High Roller: $1,050 No Limit Hold’em for $16,731. 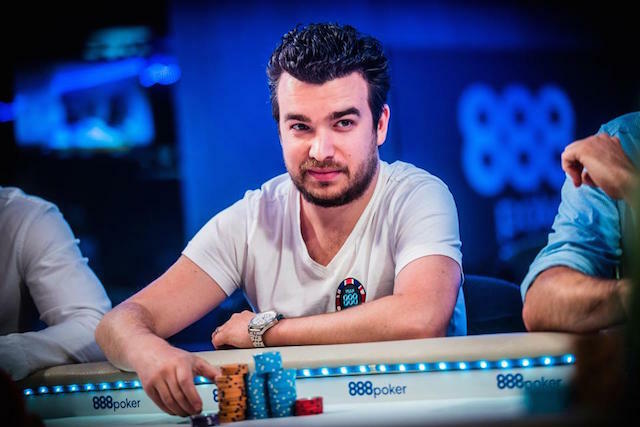 partypoker Ambassador Joao ‘joaosimaobh’ Simao also had a close call, settling for third place and $8,820 in Event #65 High Roller: $530 Pot Limit Omaha Six-Max. Other winners in High and High Roller tier events yesterday include ‘ICMslut99’, ‘EndTropY’, ‘r0bertlangdon’, ‘guerreirodopano’, ‘MisterN411’, ‘AliG212’, ‘Palsgaard93’, ‘daesai’, and ‘pertyi’.